In making the determination of whether or not military schooling is the right choice, it helps to know what to expect from a military education. – rehabs for teens and affordable boarding schools for boys. If you’re looking for an educational opportunity, for yourself or for your child, that will provide adequate preparation for post-education employment as well as instill the values that are essential for success in life, it’s worth considering military school. 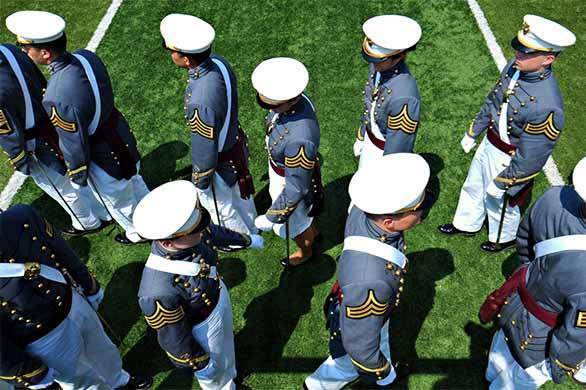 Military schools are typically private preparatory schools modeled on the U.S. military colleges, such as West Point (Army) or Annapolis (Navy). For the student who desires the structure inherent in a military prep school, to prepare for a possible military career, this is an excellent choice. Needless to say, this is also a good choice for the student who needs the structure and discipline not found in normal public or private schools. In making the determination of whether or not military schooling is the right choice, it helps to know what to expect once enrolled from a military education. Military academies are highly selective. They will only accept students who are motivated to enroll, and who are willing to comply with the strict rules under which they operate. Unlike regular schools, that will often make allowances for those who have problems adhering to rigorous codes of behavior, these schools typically expel those who violate the rules – even in some cases, minor violations. Military schooling is values-based. Understanding the core values that are central to military education gives the potential student a good idea what to expect. In a military school, all students are expected to seek opportunities for leadership and excellence in performance. There won’t be the jocks and geeks type of social organization found in non-military schools. Students will be expected to learn self-control, time management, and discipline. Each student, not just the brightest, will be expected to work to achieve high academic marks, improve physical fitness, and exercise leadership. Unlike public school, where a student who manages to achieve passing grades can expect to be left alone, in a military school, every student is expected to be ‘up front’ at several points during the academic period. There is also a lot of emphasis on moral-ethical training, integrity, and spiritual development, and teamwork. Loners who find it impossible to work well in groups will quickly fall by the wayside. Contrary to the image of some popular movies, where trouble makers are sent off to military school to be rehabilitated, military schools are not designed to change severely disruptive, unruly, or violent behavior. Only those students who are willing to accept the discipline and structure of military school are accepted, and will benefit from this excellent education. Students unwilling to engage in vigorous physical activity along with academic work aren’t good candidates for this schooling. The purpose of military schooling is to develop a self-confident leader and an ethically responsible citizen, devoted to continuous self-improvement, not just individually, but as part of a team. Should you need help finding teenage boarding schools, Christian boarding schools, and therapeutic boarding schools for boys please let us know. Military schools offer structure, mentorship and a safe environment that limits distractions and temptations that can detract from academic and personal progress. Still, military schools are not always the right choice for every young person. While military schools offer structure, and academic and athletic discipline in a controlled environment, military schools are not intended to act as a rehabilitation program. Military schools want students who wish to prepare themselves for a future in a collegiate, military, or professional setting. In making the determination of whether or not military schooling is the right choice, it helps to know what to expect from a military education.